Photo courtesy of Cox Automotive Canada. Cox Automotive Canada has teamed up with the Ontario Association of Chiefs of Police (OACP) for its annual Drive Safe Campaign. During the launch of the 2018 Drive Safe Campaign Wednesday, the company unveiled a new strategic partnership to promote safety on Ontario’s roads and highways. 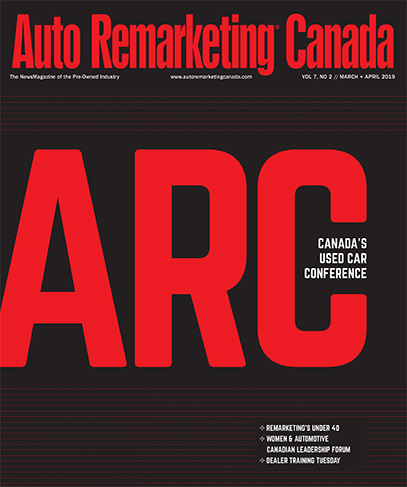 With the arrival of new technology and changes to the laws concerning road safety, Cox Automotive Canada said that it wants to help the association promote safe environments to ensure that all roads across Ontario and Canada are secure. “Distracted and impaired driving are the leading cause of accidents and road deaths in Canada, which is why we would like to reiterate just how committed Cox Automotive Canada is to the 2018 Drive Safe Campaign and our affiliation with the Ontario Association of Chiefs of Police,” Cox Automotive Canada president Maria Soklis said in a news release. Additionally, at the Drive Safe launch held in conjunction with Canada Road Safety Week, the association introduced a new information booklet designed to address key road safety issues. The collection of information covers driver’s over-reliance on automatic safety systems, impaired and distracted driving, as well as ride-sharing services and public safety concerns. “Drug-impaired driving is already an issue. With the legalization and regulation of cannabis, we expect that based on the experience in other jurisdictions, drug-impaired driving will increase,” said Ontario Provincial Police chief superintendent and traffic committee co-chair Chuck Cox.